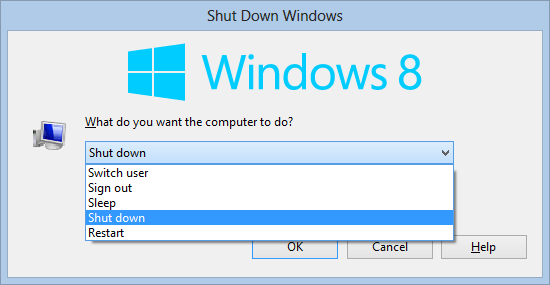 I've only just started using Windows 8 on my work PC and the first thing I miss is the simplicity of accessing Shut Down or Sleep from the Start Menu. 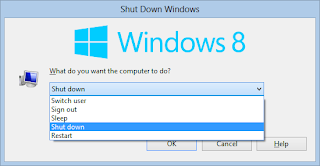 For whatever reason (I'm leaning towards Microsoft wanting people to use hardware sleep controls) the Shut Down menu isn't as easily accessible as it used to be. 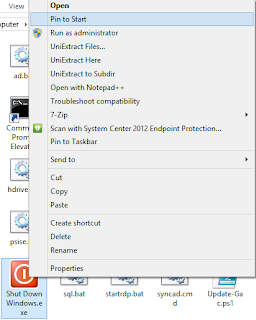 I've seen several blog posts on pinning shut down, restart, sleep, etc, shortcuts to the new Start Menu ("Start") but having separate icons for each function seems a bit of wasted screen estate. I then found someone suggesting pressing "Windows+D" to minimise to the desktop and then pressing "Alt+F4" to bring up the Shut Down dialog. Just thought I'd share a hotfix that resolved an issue that has been plaguing our Windows 7 desktop PCs for the past few weeks. Hopefully it will save someone all of the investigating we had to do! This event clearly suggests a problem with the GPClient (Group Policy Client) so we started moving the PC to an OU with limited GPOs which reduced the problem. However, the problem is apparent when there is a large number of user profiles on the system (we had ranges of 50 to 250) and deleting profiles can appear to alleviate the problem. The more profiles, the longer the delay. 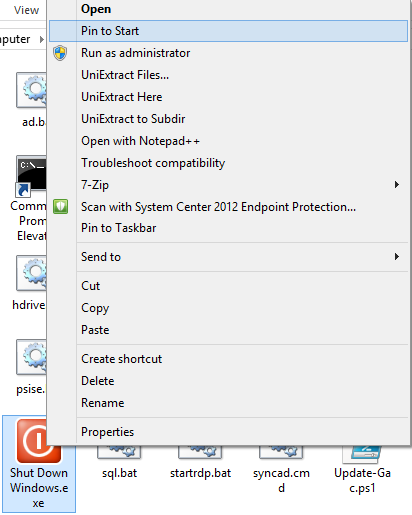 We only spotted the root cause of the issue by removing and re-applying group policies whilst logged onto a problem PC and noticing that RSOP was hanging. Using Process Explorer we spotted that one of the svchost processes was using an entire CPU core. Since this instance of svchost runs both the Winmgmt (WMI) service and the gpsvc (GPClient) service (amongst other key Windows services) so it appears that the GPClient has to wait for WMI to finish, causing the long delay. "This issue occurs because the Windows Management Instrumentation (WMI) component unnecessarily performs a full validation of the WMI repository"
Since each user profile adds to the WMI repository, the more profiles, the longer the delay (although their seems to be a limit of 60 minutes). It’s quite common at the moment for phishers to send “Your mailbox is almost full” type messages, requesting users to click on a link, ultimately compromising their email accounts. One of the methods our organization uses to block such messages is to have an Exchange Transport Rule to block emails with such subject lines and redirect the emails to a monitored mailbox, but for external senders only. I don’t normally look after this system but I checked the monitored mailbox this morning and found it was full of genuine “Your mailbox is almost full” messages from the “Microsoft Exchange” sender. Numerous users won't have received this message and will potentially hit their quota, and not be able to send emails in the next few days. 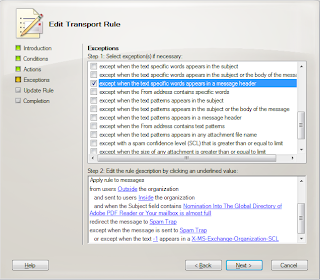 My first port of call was the check the Transport Rule was set to only apply to external senders, or as Microsoft put it "from users Outside the organization", which it was. I assumed, therefore that the "Microsoft Exchange" sender is classed as being external as it has no real mailbox. 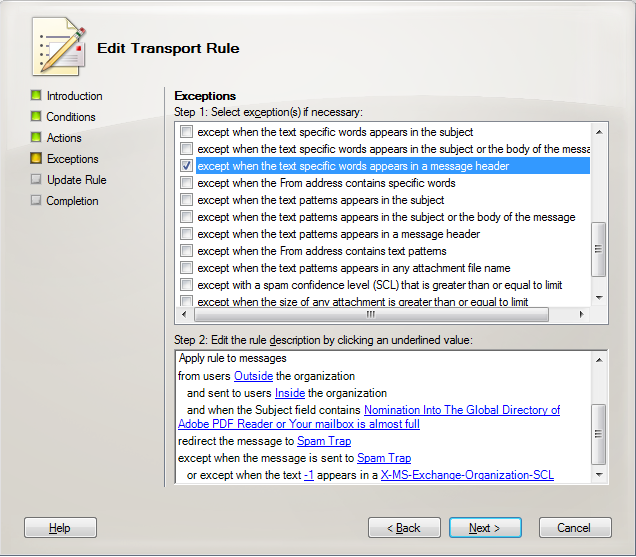 I added this as an exception to the Transport Rule using "except when the text specific words appears in a message header" using X-MS-Exchange-Organization-SCL as the message header and -1 as the value. Messages that match the subject line but come from "Microsoft Exchange" now reach their intended recipient. Any of you that use SCCM / Configuration Manager to deploy operating systems will know what a pain it is to trawl trough the log files to determine why a build failed. I wanted the end user to see why the build had failed and there didn't seem to be a built in way to do this so I created a script that parses the SMSTS.log file for the last error that occurred before the task sequence fails and show it to the end user. The script is called as "Run Command Line" step running "cscript.exe "%deployroot%\scripts\UWEShowBuildError.wsf"
Just came across a VMware virtual machine issue which jogged my memory from a few months back. 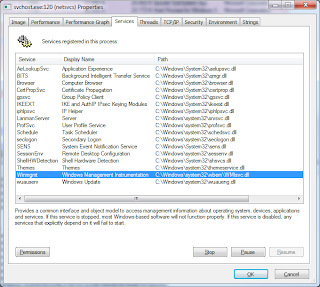 Disjoin the VM from the domain and uninstall VMware tools, then reboot. Then rejoin to the domain, install the VMware tools and reboot again. Just had this error when accessing SoftGrid applications and not obvious how to resolve it. A "Launch Failed" error occurs with an error code ending 20000194. On further investigation the error was only occurring when the client was talking to one of the two NLB SoftGrid servers. The sft-server.log for the problem server showed "File not found: C:\Program Files\Softricity\SoftGrid Server\content\.......sft" and "Unable to open C:\Program Files\Softricity\SoftGrid Server\content\.......sft"
The path "C:\Program Files\Softricity\SoftGrid Server\content\" for our setup where we have the SoftGrid content set as "D:\SoftGridContent\" (specified during setup), was incorrect. Once this was changed to the correct content location, and the SoftGrid Virtual Application Server service restarted, all was ok.
How this had come to be incorrect, I'm not sure but we did recently move the SQL database so perhaps this had confused SoftGrid and caused the setting to default to C:\Program Files. And to answer the question why SoftGrid uses a local path such as D:\SoftGridContent\ for its content directory, this is because this is the part of SoftGrid (the .sft stream) which is served out as an RTSP stream by the Virtual Application Server so only the server needs to be able to see the content location. In contrast, the .ico and .osd files need to be accessible over the network via UNC or HTTP as this is what the client needs to know about where to find the application. 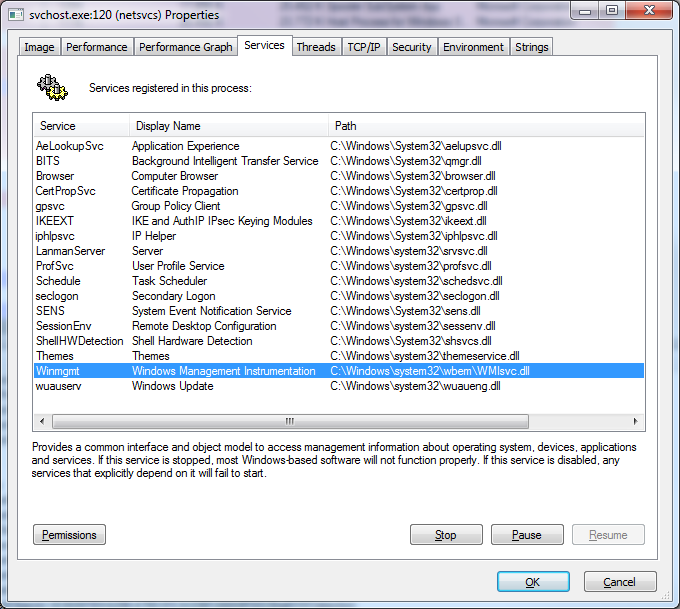 Have tested and works a treat with no interruption to the VM during migration.